Originally known as the Shea's Buffalo, the theater was opened in 1926 with the movie "The King of Main Street". 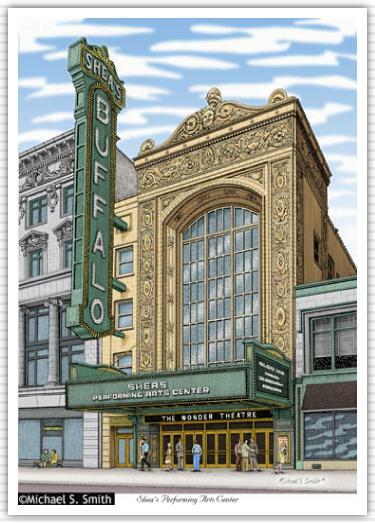 Owned by Michael Shea, the Buffalo was the centerpiece of many theaters Shea owned in the Buffalo area at the time. Early on, it seated 4000 and included with a movie was an orchestra overture, stage show, and a Wurlitzer organ performance. The theater is on the National Register of Historic Places.